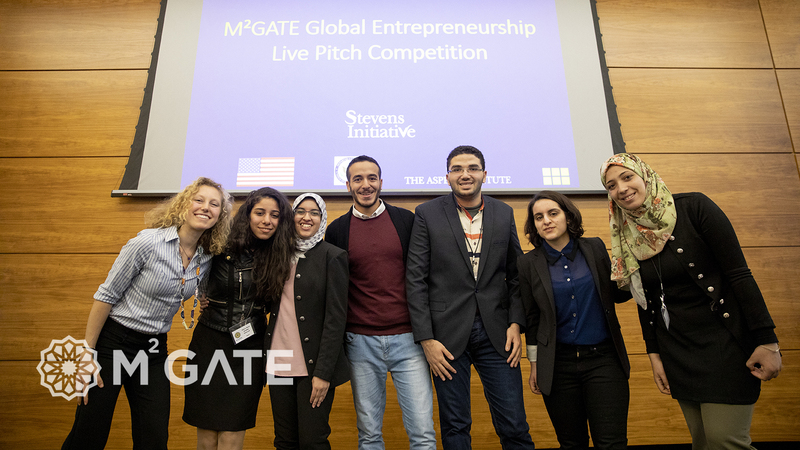 WDI’s M²GATE program, which brought together more than 500 students from five Michigan university campuses and their peers in Egypt, Libya, Morocco and Tunisia to find entrepreneurial solutions to social challenges in the Middle East and North Africa (MENA) region, culminated Nov. 14 with three teams participating in a pitch competition. 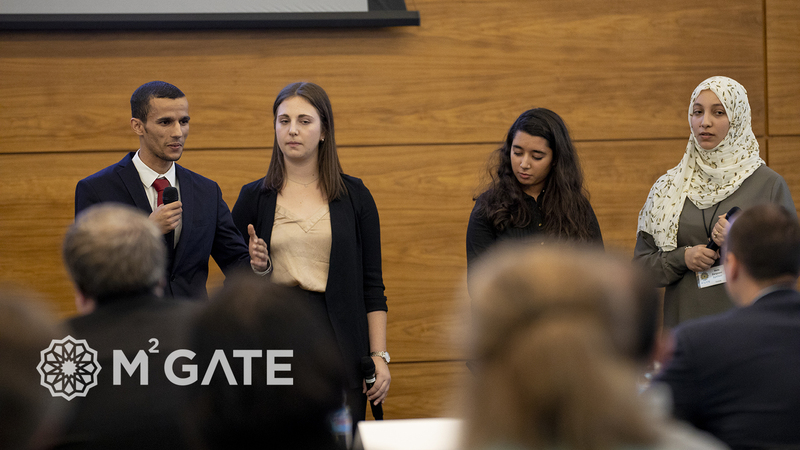 The team EcoMENA, comprised of five students from Egypt and two U-M undergrads, was named the winner by a panel of judges. Their project proposed working with the zabaleen, or garbage collectors, in Cairo to help them turn the recycled materials they collect into jewelry and other products they can sell. This would reduce the amount of plastics and metal burned or dumped into landfills, and also help some of the zabaleen earn extra income. (Below is EcoMENA’s pitch video.) 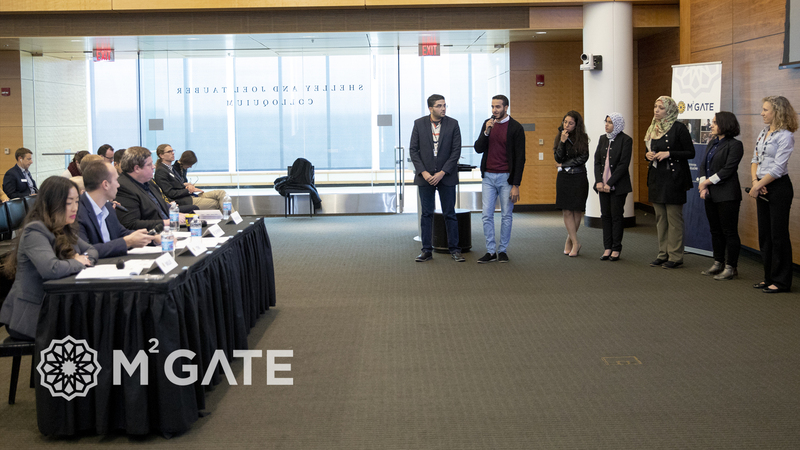 EcoMENA team members include Egyptian students Amira Nour Soudky Dawoud, Mohamed Ashraf Abdelaleim Hassan, Naglaa Ibrahim Hussein Ali, Omar Aboutaleb and Samar Mohamed Taha Zaatar; and U-M students Annahita Akbarifard and Jackie Spryshak. 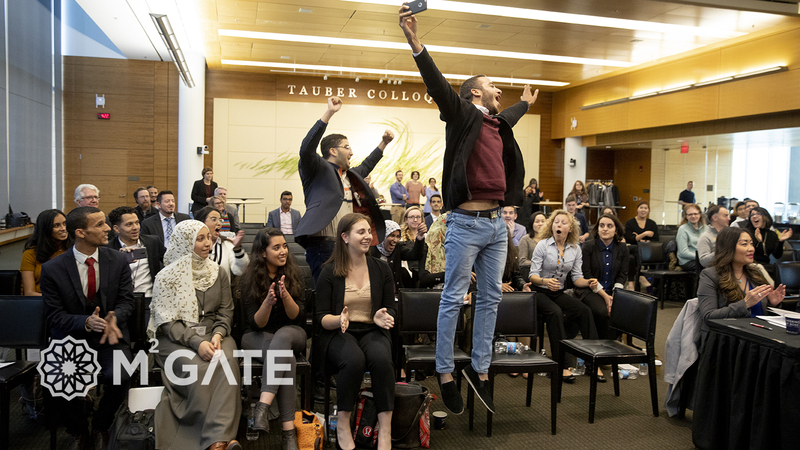 The other two finalist teams were “The Alters,” a team from Morocco that proposed an after-school program to improve the soft skills of students, and “Kaizen,” a Tunisian team that wanted to encourage more recycling in the country by rewarding people who did. 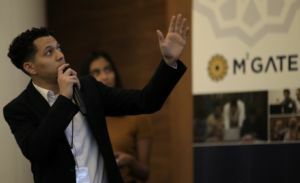 For the MENA-Michigan Initiative for Global Action Through Entrepreneurship (M²GATE) program, all teams worked virtually to develop social entrepreneurship projects and accompanying pitches over an eight-week period with the help of instructors, mentors, and successful entrepreneurs from MENA and Michigan. 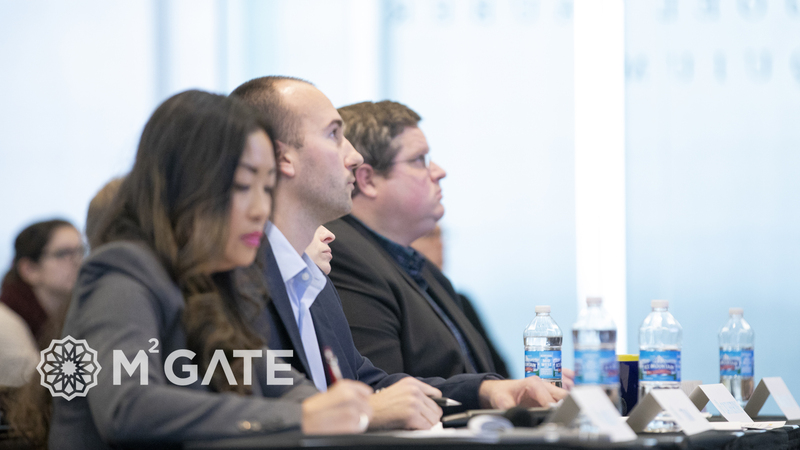 At the end of each of the three cohorts, the program hosted a virtual competition with judges naming winners based on scalable solutions featuring science, technology, engineering, and math – or STEM-based – innovations. 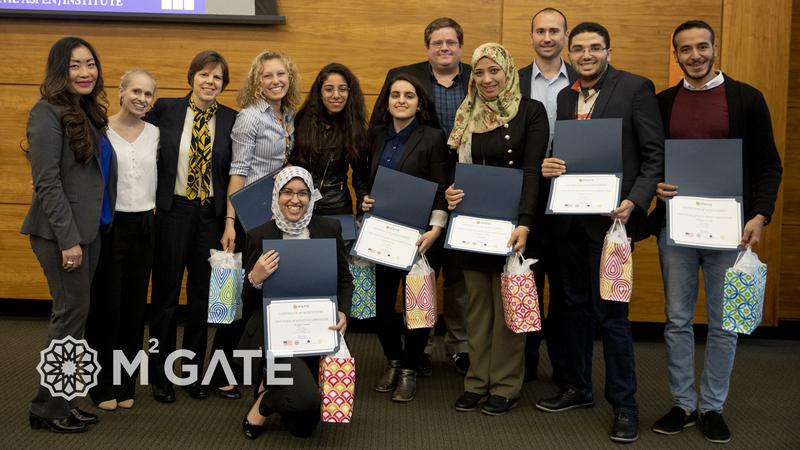 The winning team from each cohort then participated in the pitch competition at U-M.
“The Alters” team member Anas Ettayea. 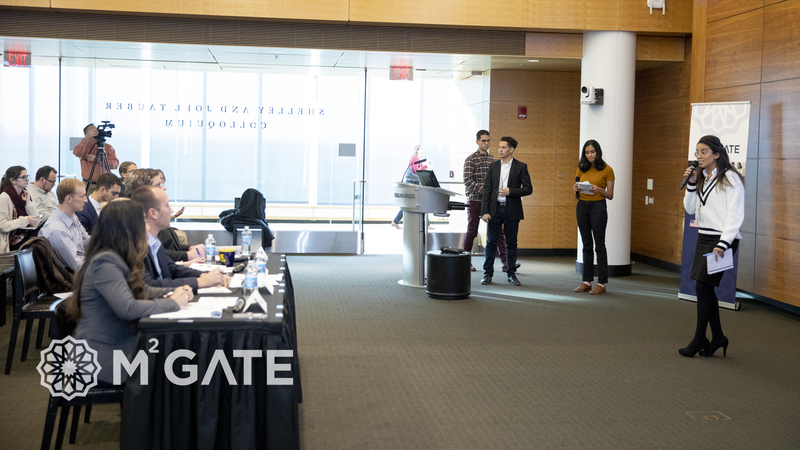 At the Nov. 14 event, each team had about 5-7 minutes for their presentation before a panel of four judges that included Ross School entrepreneurship professors and startup consultants. She said she never imagined the team would win and was very happy that they did. “I won’t ever forget this experience,” she said. Another team member, Mohamed Ashraf Abdelaleim Hassan, said he enjoyed spending the week with the teams from Morocco and Tunisia and the friendships they developed. He said he had participated in other pitch competitions in school in Egypt but this was the first time he ever won. He said he will use his M²GATE experience as he continues his engineering and social enterprise studies at the American University in Cairo. “This program was beneficial to me, it was useful for me and the other students,” he said. U-M Dearborn senior Annahita Akbarifard said she signed up for the program on a whim and was glad she did. She said the program taught her to be better organized and improved her time management skills. She said it could be difficult to arrange times to video chat with her Egyptian teammates due to different time zones and other conflicts. Akbarifard said it has been enjoyable getting to know her teammates better this past week. 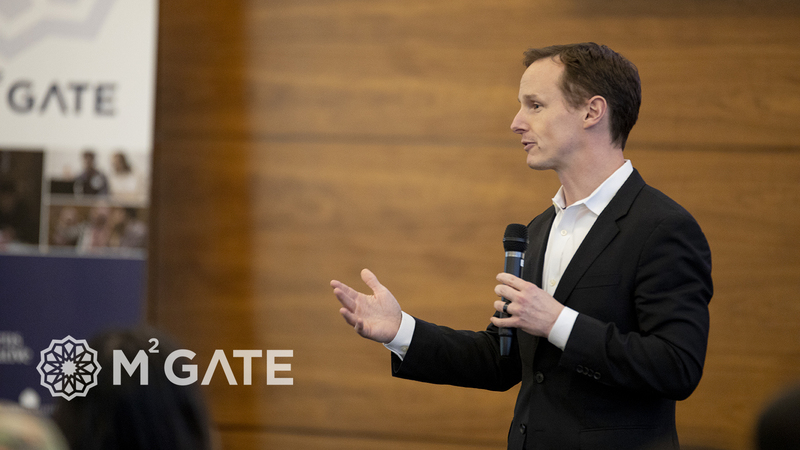 Ross School of Business Dean Scott DeRue said the M²GATE program is an opportunity for students to learn how to have a positive impact through business, entrepreneurship and social enterprise projects. 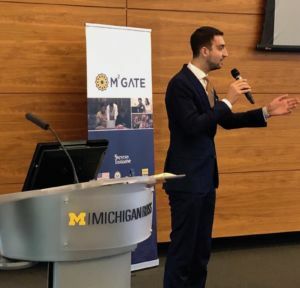 “This program is a hallmark of what we try to do at the University of Michigan, which is working across boundaries to bring people together to work to address the opportunities and challenges that we all face in our global society,” he said. 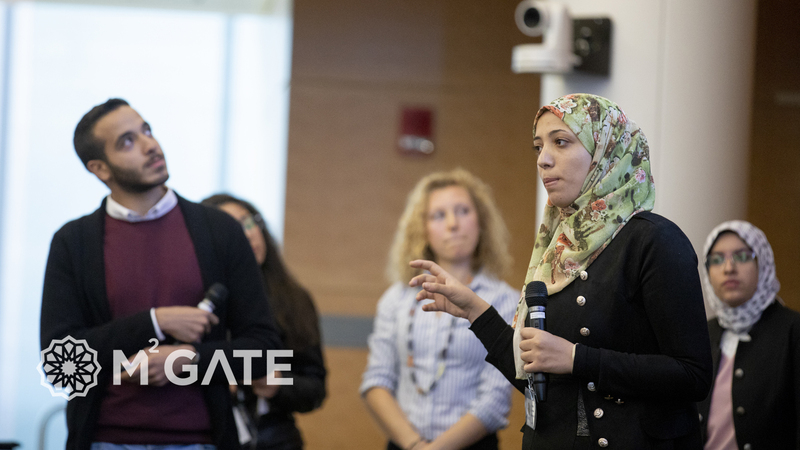 The program was funded by the Stevens Initiative, an international effort to build global competence and career readiness skills for young people in the United States, the Middle East and North Africa. The initiative honors the legacy of U.S. Ambassador Chris Stevens, who devoted his life to building bridges between people from different cultures. Mohamed Abdel-Kader, executive director of the Stevens Initiative, said the students were there to honor the legacy of Ambassador Stevens. He said the ambassador was committed to connecting with young people and understanding the communities in which he worked. Ambassador Stevens “brought forward the best of American values,” Abdel-Kader said. 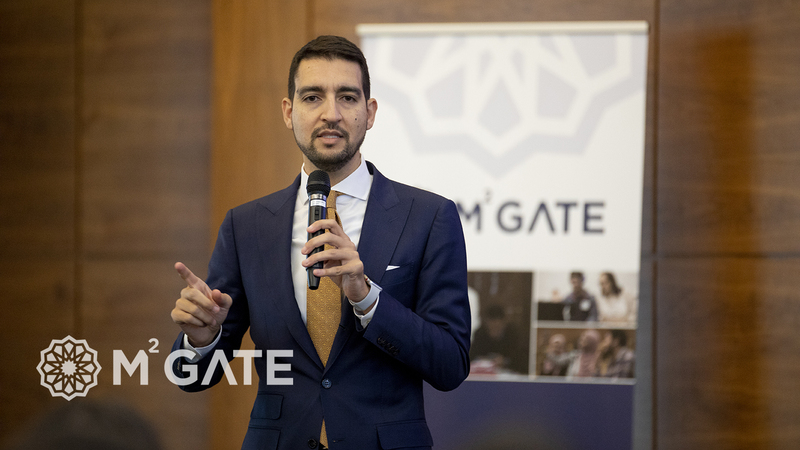 He told the teams that the cross-cultural skills they learned during the program are critical in today’s global world. He said the virtual collaboration program supported by the Stevens Initiative has reached 28,000 students in 43 states and 17 countries in the Middle East and North Africa. 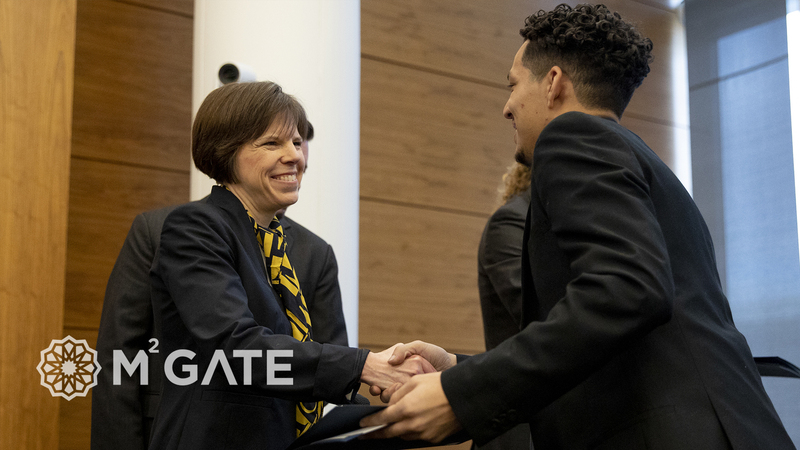 “Through that technology we can connect a student with someone they would have never met,” Abdel-Kader said. He told the students that it was a “huge responsibility for you to be part of this program.” He then told them about how his Egyptian mother always told him not to waste food because it was a blessing. Likewise, participating in the M²GATE program was a blessing too.